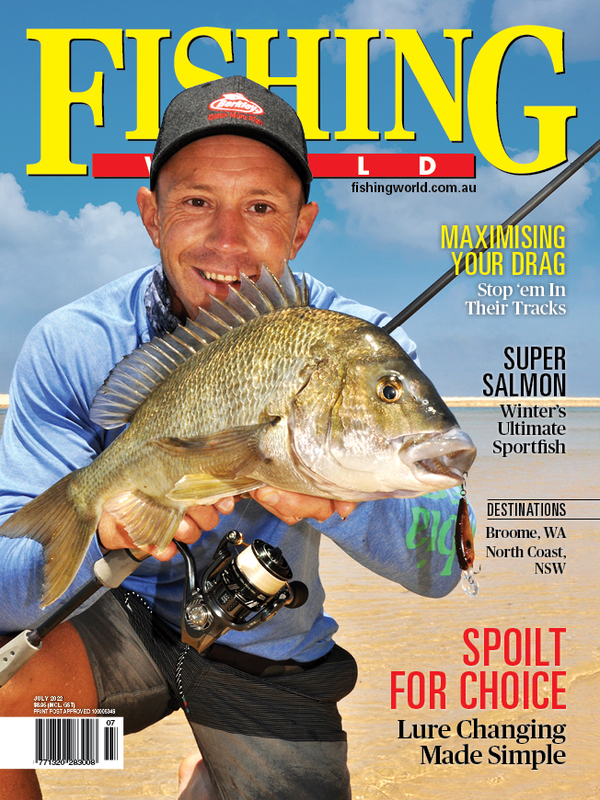 Are swimbaits the next big thing for targeting Aussie sport fish? For chasing Murray cod, jewies, and even flathead, swimbaits are so far proving dynamite and are here to stay. The rampant urbanisation of SE Queensland has its benefits with a growing legion of die-hard jack fishos targeting big fish from the Gold Coast waterways. Identifying and understanding skirted marlin lures is an essential skill for any game fisher. Greeny explains. Some of the largest trout in the world are found just a few hours from Australia in New Zealand's hydro-based canal system. The hidden estuaries and creeks of East Gippsland produce some outstanding fishing, as Ben discovered on a recent exploratory trip. Michael Bonnici chats about his new Sea Devil 520 centre console, Reviews of the Cobia 261CC and Salt-away boat wash, offshore boat handling lessons from Nathan Bajada, DIY tilt and trim plus all the latest products and more! Available on newsstands, on Zinio or by subscribing.